COMMENT | Although I am no longer active in politics, I remain politically conscious by keeping abreast with political developments in and around the country, like many are. I believe I am able to dissect and understand to a certain extent why political leaders say this or that at times. No, I’m not always right but I believe I’m not way off either on certain issues. Being a journalist for a good part of my working life helps. I’m sure my colleagues in the news world agree. At times, I think we can sense what’s going to come out from a politician’s mouth even before they say it. It’s as if we can “smell” a politician’s “fart” from afar. Yeah, think flatulence if you like. 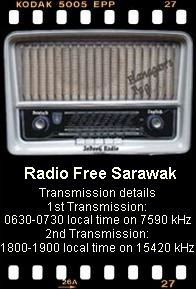 For us in Sarawak, the major discussion this past week has been about Prime Minister Dr Mahathir Mohamad’s statement that “the government is unable to act against former Sarawak chief minister and current governor Abdul Taib Mahmud until formal reports are lodged against him for alleged power abuse and corrupt practices”. 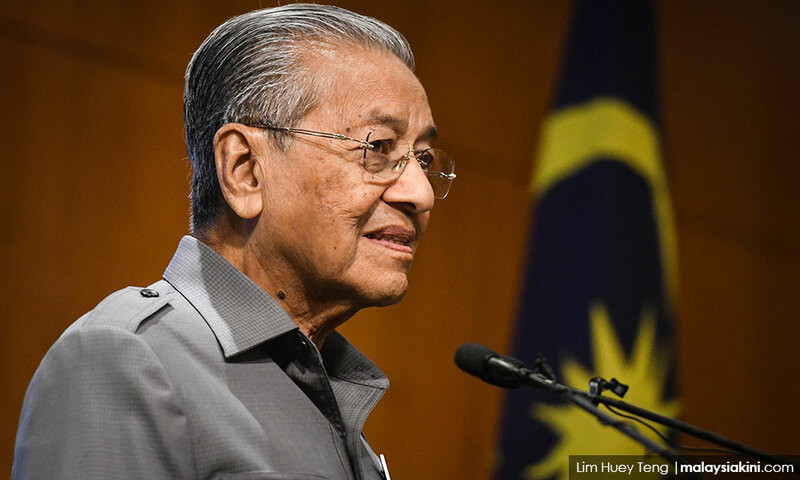 This was the second time Mahathir commented on the subject since his return to Putrajaya after the 14th general election. He made the remark in a Jakarta forum in response to a question from the floor. It was posed by a Sarawakian, so I’ve been told. I paid no attention to the prime minister’s statement until people started asking, bombarding actually, me for my reaction to Mahathir’s remark. Of course, my reports to the MACC and the police against Taib in 2011 were well published in the media, including Malaysiakini. When one or two people asked me for my response, I would just brush it aside. However, within three days after Mahathir’s statement, I received a total of 73 messages, calls and emails from friends, associates and even strangers. To be honest, I find some of their remarks annoying and upsetting. Until Malaysiakini’s Alyaa Alhadjri called me for my comments, I had refrained from making any public statement on the subject. But in private messages, I replied to queries in the following manner: “The prime minister has to say something when a reporter posed him a question. I won’t get jittery when he responded off the cuff. Mahathir is still a politician, he must respond. This is the second time he was asked about Taib and he replied in the same manner. I also told my friends that I believe Mahathir will eventually look seriously into the Taib case because I doubt he will not take action against those involved in well-publicised graft cases, including Taib. At this juncture, perhaps the prime minister has to be reminded too that there are negative public perceptions about his non-action against Taib because “the two old men went back a long way”. I hope this remains a mere perception and nothing else. My reply was that “anything is possible in politics but I doubt that is the case”. I hope someone will direct that question to the prime minister one day. We would love to know what he has to say. But I do remember what Mahathir told me once when I posed the Taib question to him years ago, soon after he left office in 2003. “Taib has done a lot for Sarawak but along the way, he enriched himself”. That is enough for me. Mahathir knows Taib better than any of us. At this point, I think it’s only fair to give the prime minister time to clean up the Najib mess first before tackling Taib and Sarawak. From the messages I’ve received, I realise that patience is running thin among a large cross-section of Sarawakians. Perhaps I am the one who should be impatient since I’ve been on the war path against Taib since the 1996 state election. Since I’ve already waited for 22 long years, I suppose I can give Mahathir and his new team a little bit more time to act. I don’t think it’s necessary for me to lodge fresh reports as the old one suffices since the MACC had already opened a file on Taib a few years ago. Just re-open it if it has been closed. As it is, many old files of criminal cases which were considered closed have been re-opened by the Mahathir administration. Bandar Kuching MP Dr Kelvin Yii has also informed me that he will raise the Taib subject in Parliament this month. I’ll take it from there after that. It’s well and good too that the MACC will now report directly to Parliament. So let us all be patient and wait for MACC’s reply in the august house. In any event, I hope to meet the new MACC chief commissioner Mohd Shukri Abdull soon to get a clear picture on the huge mess in my home state and what action the agency will take on the many reports lodged. So dear Mahathir, to refresh your memory: Sarawakians have already lodged formal complaints against Taib, and mine was in 2011.